As you might know by now, the BMW F80 M3 went out of production last October for European customers, leaving only the BMW M4 to be offered to the enthusiasts. The reason why the M3 was already pulled out of the European production had to do with the WLTP regulations, so it was interesting to see the production data numbers all crunched up and get a grip of how well the car did. There are some interesting details hidden in the numbers. The biggest question answered by the production figures is related to manual gearboxes, of course. According to BMW M Registry, out of the entire BMW F80 M3 production (pre-LCI and LCI), 5,426 units were fitted with manual transmissions while the remaining 29,251 units were automatics. 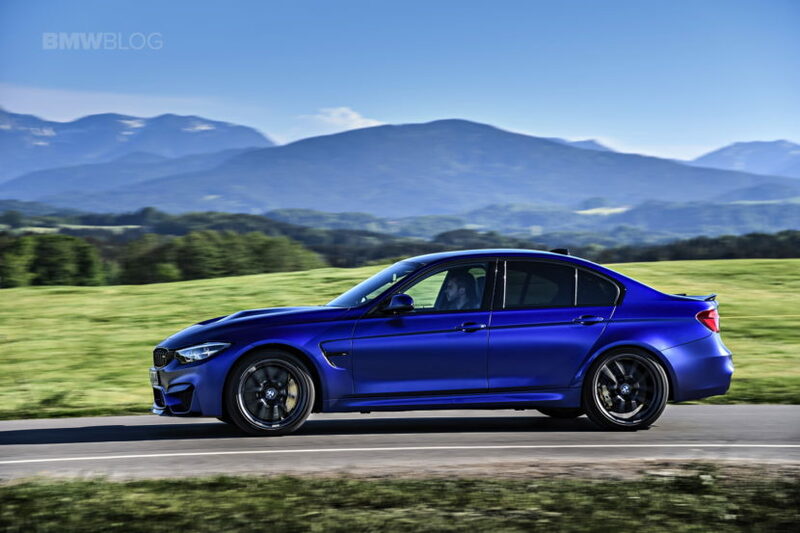 That means about 15.5% of the BMW M3 cars sold were manuals and a lot of them went to North America, where the ratio was nearly twice as high at 28 percent, compared to 3.54% in the rest of the world combined. To put things into perspective, there’s a noticeable trend happening here, that will see demand for manual gearboxes in high-performance cars eventually drop so low that manufacturers won’t offer them at all anymore. For example, the E90 M3 production data shows that 44.64 percent of all cars sold were manuals, a percentage that goes even higher, to 53.43 percent in the US and Canada, while the rest of the world split the difference at an intake rate of 31% for manual gearboxes. Nevertheless, sales have been increasing on a double digit rate since the F80 M3 came out. While the E90 M3 was sold in just 9,674 units worldwide (admittedly, back then, the M3 Coupe was still in production), the F80 M3 was sold in 34,677 units in total, more than three times as many. Furthermore, the Competition Package seems to be quite popular, 14,969 units of the grand total being cars fitted with it. Considering it was not available from the get go, this makes the Competition model quite a popular choice. As an interesting tidbit, the most popular color was Black Sapphire (6,111 units) followed by Alpine White (4,950 units) and Mineral Grey Metallic (4,576 units). The rarest color was Pyrite Brown Metallic, only 9 cars wearing this paint from factory.